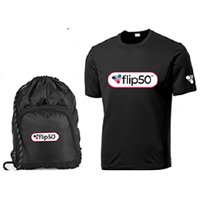 You have a chance to get your hands on a free Flip50 pack that contains t-shirts, bags and lots more. Head over to Dr. Oz website and submit your details and you will be in for a chance to win one of these prizes. Click GET FREEBIE button and then submit your entry for a chance to win this giveaway.